It’s less than three weeks till I get married now, the hen night was a success, the invitations are out, and I am in a quiet period before things start to get really stressful again. 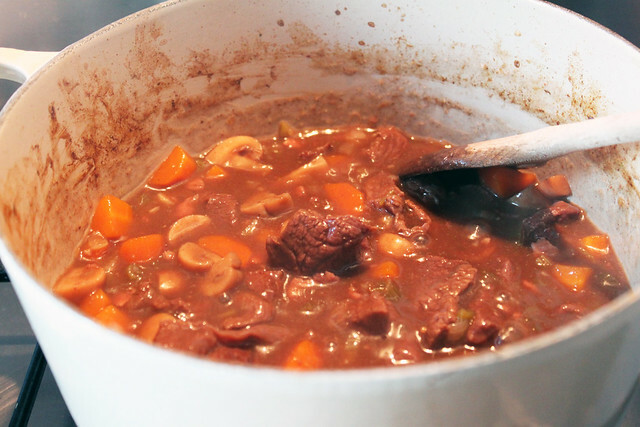 As the leaves are starting to turn and it is starting to get pretty cold and nasty out there it seems the perfect time to get a casserole in the oven. While I love a good old beef casserole, I wanted something a little different, and Venison is one of the mains at our wedding meal. Meals aren’t always invented by choosing the ingredients that go best together, often meals come together from necessity. From whats left over, from whats kicking around at the back of the freezer, from snatches of other meals prepared or sampled. 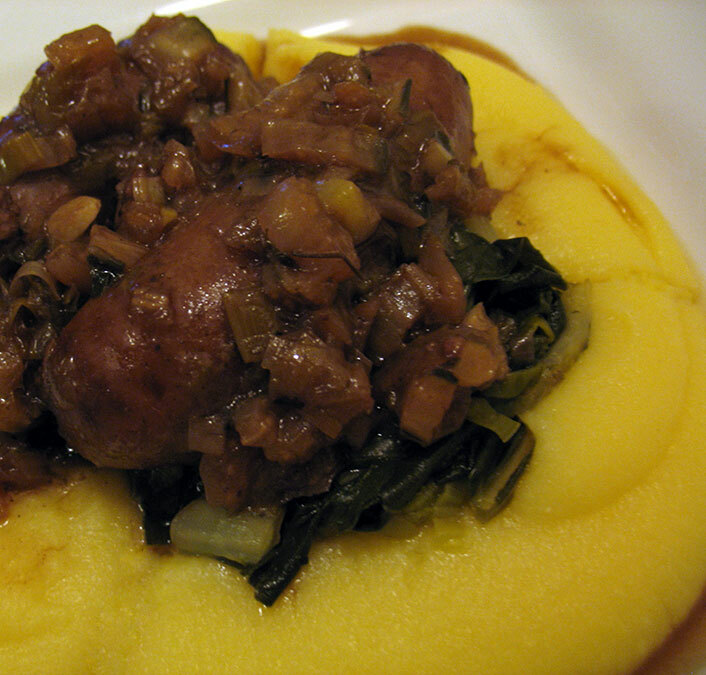 That is what this is: sausages from the freezer, chard from my veggie box and polenta, well because I have seen so many amazing looking polenta dishes recently (and to be honest a complete dearth of rice or potatoes).